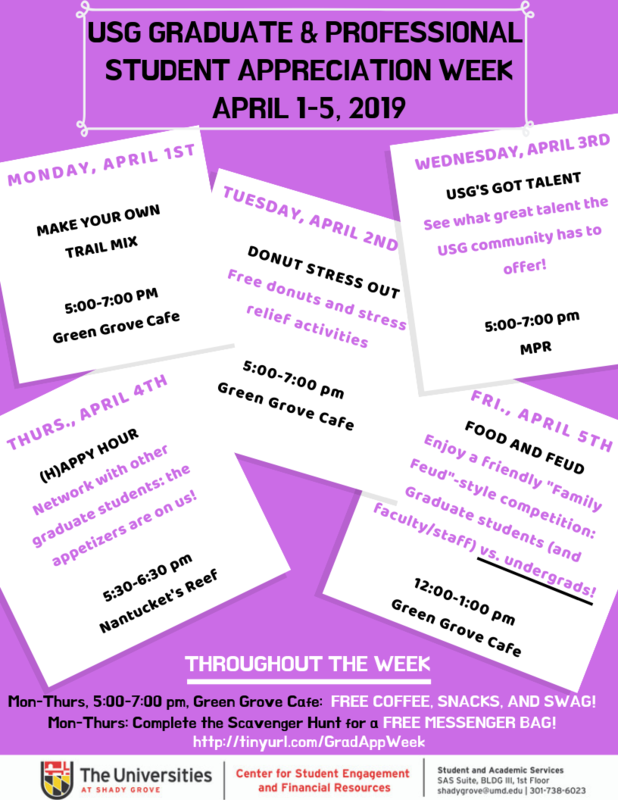 Graduate and professional students at USG: this week's for you! See the schedule below to check out what's in store! Sponsored the the Center for Student Engagement and Financial Resources, and the USG Graduate Student Association. 5:30-6:30 pm, Nantucket's Reef, 9755 Traville Gateway Dr. Questions? Please contact Shelby Speer, Graduate Student Services Coordinator, at srspeer@umd.edu or 301-738-6254.